Zozotown founder and CEO Yusaku Maezawa set a new record for the most retweeted tweet of all time. One of the richest men in Japan has wrested the title of creator of the most retweeted tweet from an industrious teenager, but he had to offer more than $900,000 in gifts to his 6.1 million followers to do it. That man is Yusaku Maezawa, billionaire founder of ecommerce company Zozotown, whose tweet at 8:35 a.m. EST on January 5 has 5.6 million retweets and 1.4 million likes and counting as of 11:30 a.m. EST on January 7. Perhaps better known as the first private passenger to fly around the moon with Elon Musk’s aerospace company SpaceX in 2023, Maezawa said Zozotown’s spring sale topped 10 billion yen ($92 million), so he was giving away gifts worth 100 million yen ($922,000) to a lucky follower who retweeted the tweet through January 7. The tweet also features an E.T.-inspired image of Maezawa launching himself to the moon. As a result, this tweet surpasses Reno, Nevada teen Carter Wilkerson’s infamous 2017 plea for Wendy’s nuggets, which has 3.6 million retweets, by a cool 2 million retweets. #NuggsForCarter had a good run, though. It’s been over 600 days since he claimed the title from Ellen’s 2014 Oscar selfie, which has 3.3 million. Along the way, Wilkerson received a year’s worth of his beloved Wendy’s nuggets for free, not to mention a sizable Twitter following and an indelible impact on 2017 popular culture. Wendy’s did not respond to a request for comment by deadline, but the notoriously savvy and sassy brand, which has dunked on Mr. Peanut and private citizens alike in the name of #NationalRoastDay, may very well spin this moment into social media gold as well. 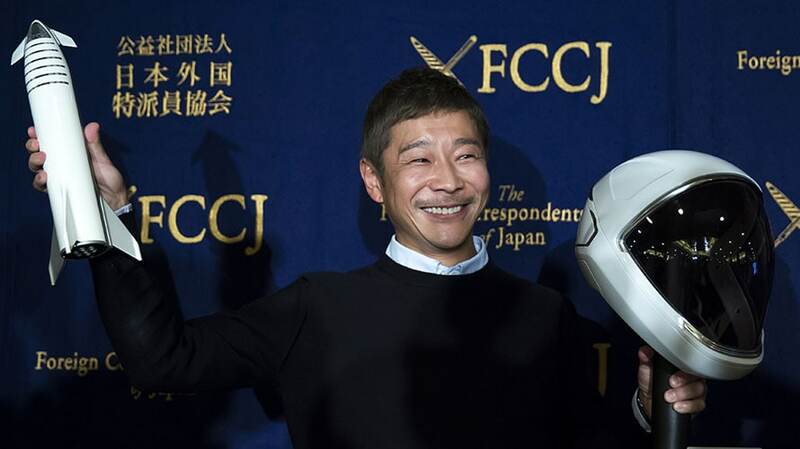 Meanwhile, Maezawa, who reportedly started out by selling records and CDs by mail from home, remains the moon-bound chief executive of the custom-fit clothing company, which uses what it calls a Zozosuit to capture 3D measurements of customers’ bodies.